A great little car at an equally great price. Wow, what a great little car. Suzuki might have fallen off the radar in Australia during recent years but the all-new Swift looks certain to mark its return. This is a car with a breakthrough feel to it. The first aspect of the Swift that strikes you is its appearance. With obvious design cues from the current Mini and various other European cars, this is a 5-door hatchback that looks much more up-market that its price tag would suggest. The lines are clean and bold and the high waistline is copied straight from prestige manufacturers. 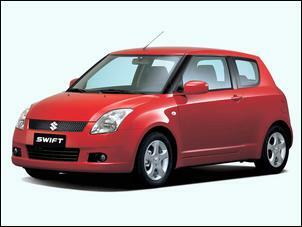 The Swift S version (as tested) also brings fog lights and attractive 15 inch alloy wheels. It’s a car with terrific showroom appeal. And those good vibes keep coming when you venture onto the bitumen. The Swift feels and drives like a larger car. 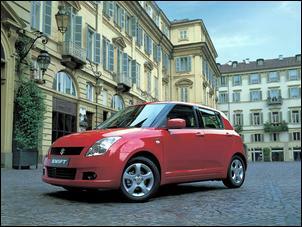 With a relatively long wheelbase and wide track, the Swift is stable and surefooted. Suzuki has also managed to squeeze in plenty of suspension travel so the ride is always compliant – it very rarely reaches its limit and bottoms out. The cabin, too, is stiff and the light-closing doors shut with a quiet thunk. 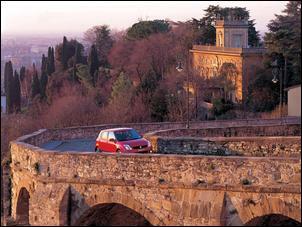 Under the bonnet is a 1.5 litre engine, similar to that found in the go-fast Suzuki Ignis Sport. Coded M15A, this 4-cylinder boasts a DOHC, 16 valve head with VVT and generates 75kW at 6000 rpm and 133Nm at 4000 rpm. Note that the S version has no more power than the entry-level Swift. The engine feels a bit sluggish below 4000 rpm, but get it spinning and it’s a willing performer – this is an engine with plenty of character. Weighing just over 1000kg, the Swift S 5-speed is easy to accelerate off the line and has no problem keeping up with traffic. We easily matched Suzuki’s claim of 10.0 second 0 – 100 km/h performance. In mainly urban conditions, our test Swift returned around 8 litres per 100km fuel consumption – average for the size of the car. We would expect a slightly better figure given more sedate driving. But, if you’re anything like us, you won’t be bothered about driving to achieve optimal fuel consumption – this is a car that begs to be driven. In fact, the harder you drive it, the more you’ll enjoy it. Partly thanks to its generous track and wheelbase dimensions, the new Swift is very stable during cornering. Turn-in is linear and intuitive (no need for last-minute corrections) and you can hold your intended cornering line without concern. Lift off the throttle during cornering and the rear-end gently transitions into oversteer – but only given plenty of corner speed and dynamic weight transfer. Outright grip levels are exceptionally high from the standard 185/60 15 Bridgestone Potenza RE080s. Our only criticism is the slight jumpiness of the torsion beam rear axle - yes, the Swift gets a beam axle together with MacPherson front struts. The damping is also a tad too soft for eager driving. The Swift’s power-assisted rack and pinion steering is responsive, linear and well weighted. This wonderful steering helps ‘make’ the on-road feel of the car. The brakes use an interesting combination of old and new technology. Ventilated discs are fitted to the front, but the rear receives old-fashioned drums. These contrast with the ABS, EBD and brake assist systems, which give excellent stopping power and control. Inside, the Swift exudes the air of more expensive car. The cabin is decked out with surprisingly high quality trims and materials and everything follows a clear, logical design – there’s nothing gimmicky. The main instruments – speedo, tacho, fuel and temp gauges – are traditional style gauges while there’s a centre LCD display for time, ambient temperature and instantaneous fuel consumption. It all works very well. All Australian-spec Swifts are equipped with standard air conditioning, dual airbags, electric windows, 6 speaker CD/tuner and a quality leather steering wheel - there are even audio controls on the steering wheel, though these don’t have any night-time illumination. The quality of the sound system is impressive, though the rear speakers sound muddy when biased in that direction. 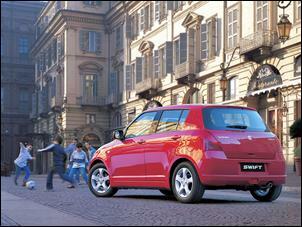 The Swift S adds front and rear curtain airbags and seat-mounted side airbags for a total of 8 airbags. Impressive. 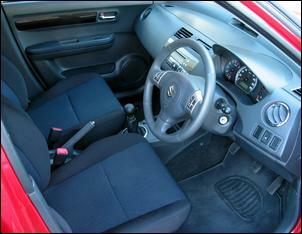 Interior space is generous for front and rear passengers. Head, knee and foot space are very good, although there isn’t enough space for the driver to rest their left foot. Some passengers also commented the rear backrest is too upright. Unfortunately, some people might struggle with the relatively limited cargo area - the Swift can’t swallow a weekly shopping load without utilising a hook on the back of the front passenger seat and filling the rear foot wells. The 60/40 split backrest folds forward and the seat base tumbles forward to create a reasonably large cargo floor. However, it must be said that the rear seat tumble design is not as polished as, say, a Mazda 2 or Honda Jazz. The base Swift retails from just AUD$15,990 and the S version with alloys, extra airbags and fog lights (as tested) checks in at AUD$17,990. If you can afford it, we reckon you’d be silly not to opt for the S version. This AUD$17,990 figure compares very well with its rivals – some of which become quite expensive when you start adding extra airbags and other optional features. Interestingly, Suzuki seems to have spent a lot of time focussing on the build quality of ‘regular traffic’ areas of the Swift – the areas that most drivers would notice during their day to day use. The switchgear, handles, door closing and touch surfaces (such as the steering wheel and gear knob) are very well finished. But dig a bit further and you’ll see this quality doesn’t extend throughout the vehicle. The bonnet release lever feels cheap, as does the bonnet support, there’s no grab handle for the false floor in the cargo area and we question the durability of the plastic window surrounds. Our test car also had an annoying rattle from the passenger side B pillar. Suzuki presently offers a 3 year/100,000km warranty on its vehicles, which falls short of some other manufacturers. We’d like to see an extended transferable warranty (to help maintain resale value) and then we’d be 100 percent confident recommending the Swift S to anyone. But, even as it stands, this really is a must-drive. Well, our research reveals that the M15A engine fitted to local models is already the most potent engine currently in the worldwide line-up. 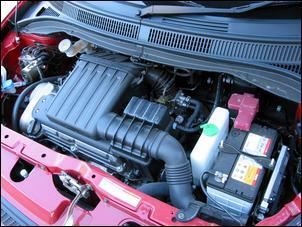 Other markets also receive the base 1.3 litre non-VVT version. Note, however, the M15A engine is tuned to deliver 83kW and 143Nm in the Ignis Sport (an extra 8kW and 10Nm) when running 98 RON fuel. 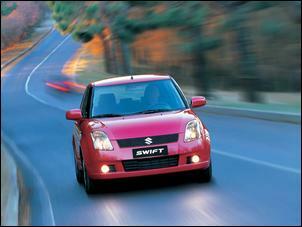 It is possible that similar upgrades will be carried over to create a swifter Swift. We’re seeing only the tip of the iceberg! The Swift S was provided for this test by Suzuki Australia.